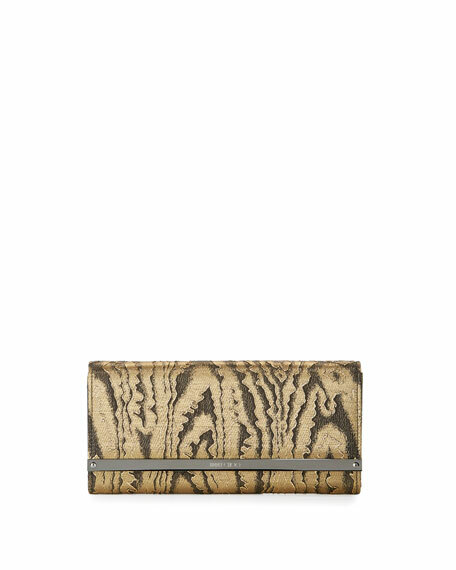 Jimmy Choo 3D metallic moire fabric clutch bag. Flap top with logo-engraved metal bar; snap closure. 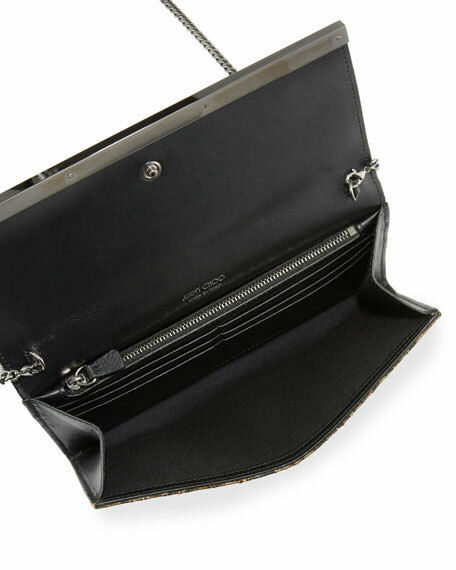 Interior, zip pocket; one bill and six card slots. 4"H x 8.5"W x 0.8"D; weighs 11.9 oz. "Milla" is made in Italy. For in-store inquiries, use sku #1935888.